celebrate all that is exciting about a school day. 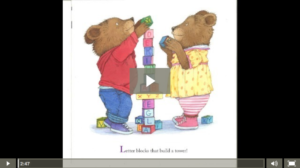 rhyming read-aloud chock-full of the ABCs of school. There’s so much alphabet to explore! Alphabet from A to Z. Books that are just right for me. Crayons for coloring in my hand. Dump trucks playing in the sand. from four-cornered square, to circle, round. 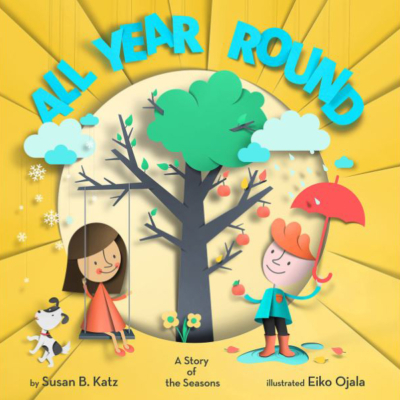 Poetic text by Susan B. Katz (ABC Baby Me!, My Mama Earth, ABC School’s for Me) is paired with debut illustrator Eiko Ojala’s intricate cut-paper artwork to bring the months and their shapes to life! 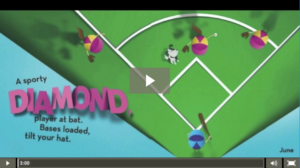 Bold colors, adorable characters, and lyrical text fuse together perfectly in this truly creative look at the world around us. 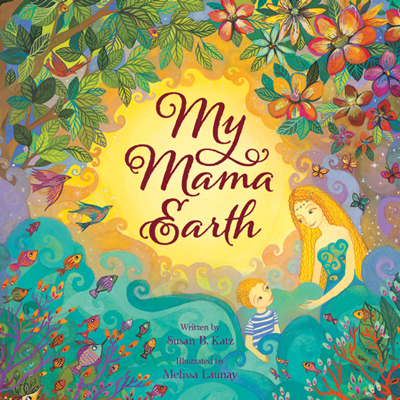 A celebration of Mother Earth and the bond between a mother and her child, MY MAMA EARTH won the Moonbeam Gold for Best Picture Book of 2012 as well as being named “Top Green Toy” by Education.com. Watch the wonder experienced by a small child journeying through the world and round the day taking in the many magnificent aspects of nature. This imaginative and lyrical picture book showcases the love between a mother and child, celebrating the ever-changing beauty of the natural world along the way. Read reviews and purchase on Amazon.com. 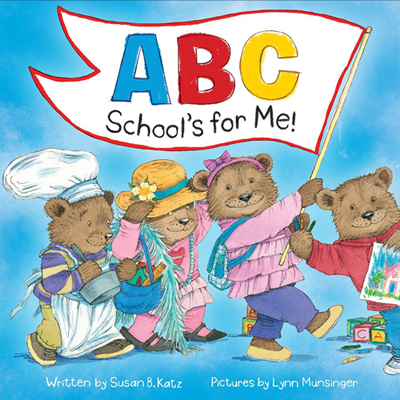 ABC, Baby Me! 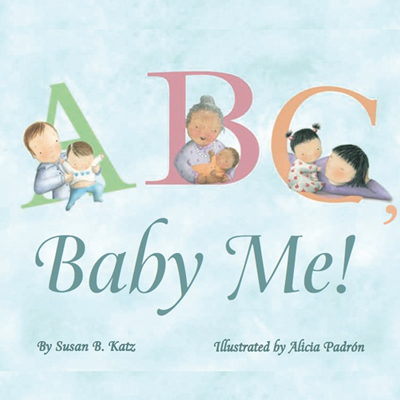 offers a new twist on a classic board book theme, using the alphabet to take babies through their busy day, from Adore me, Bathe me, Cuddle me, too . 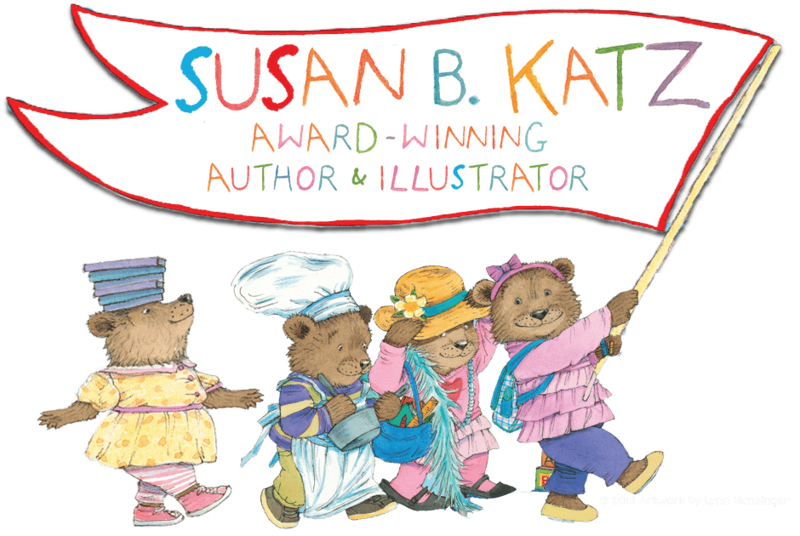 . . all the way to Z. Susan B. Katz’s clever rhyming text and Alicia Padrón’s adorable multicultural babies and toddlers will captivate and charm young children and their caregivers. This loving tribute captures both the everyday and the special moments between very young children and their parents, grandparents, and siblings. Please feel free to contact me to book a school visit. Email me at susan@connectingauthors.org or call 415-312-1212. 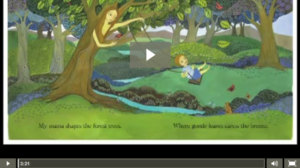 Watch videos & listen to songs for All Year Round, ABC, School's For Me & My Mama Earth.